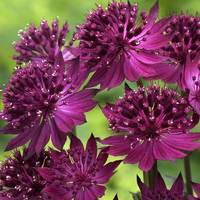 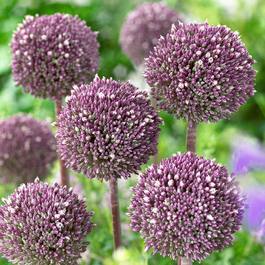 A new highly fragrant tall allium. 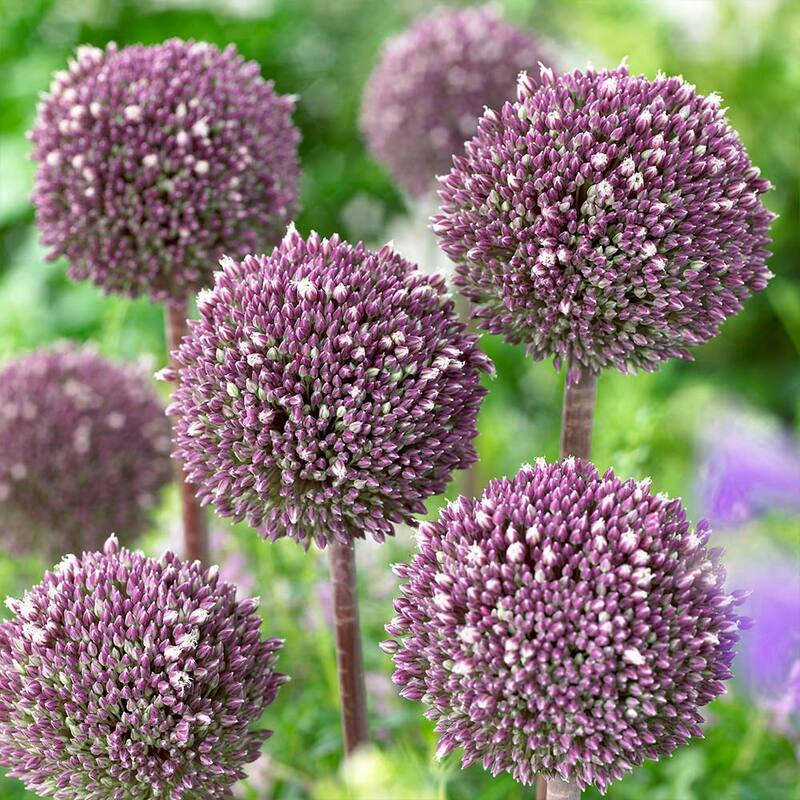 The tight balls, the size of a man's fist are purple flushed white in May/June. 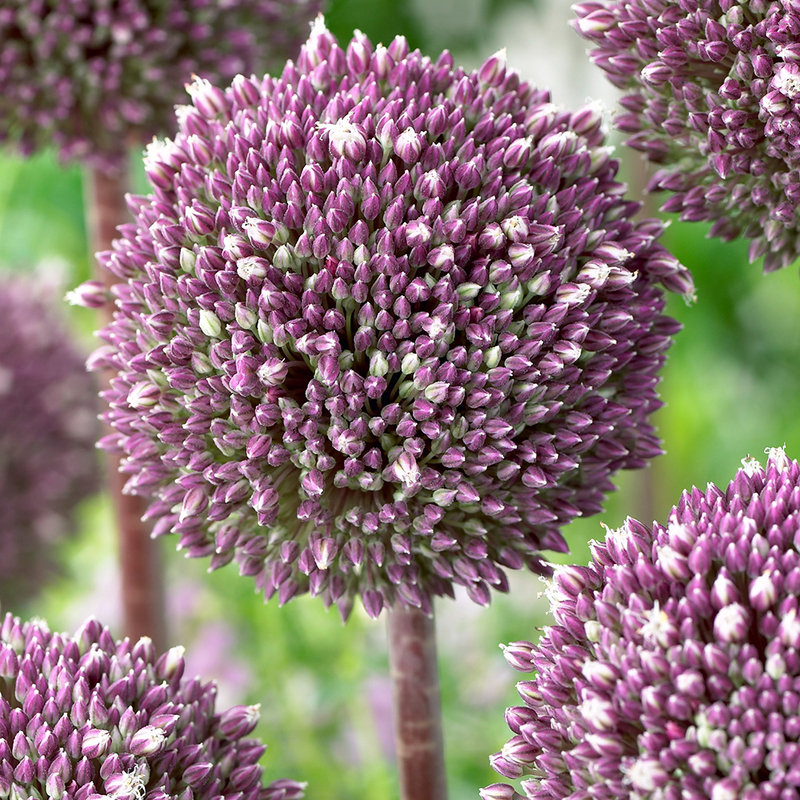 At a height of 1.5m, Summer Drummer is the ideal choice for the back of the border. 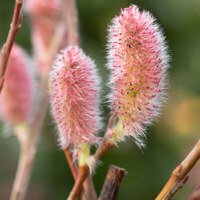 Its attractive curled green leaves will wither before the flowers appear in early summer so we recommend accompanying them with low-growing perennials to provide filling foliage over the base areas. 12cm+ bulbs supplied.